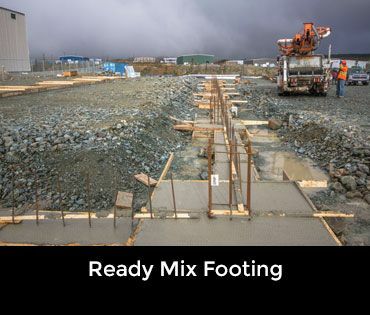 Capital Ready Mix is Newfoundland and Labrador's premier concrete supplier and service provider. 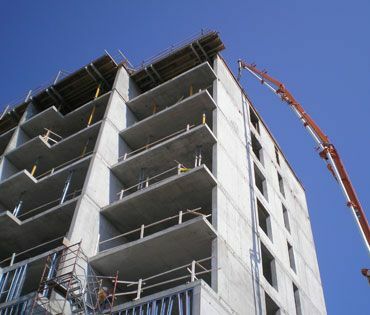 We supply ready mix concrete for both residential and commercial jobs. 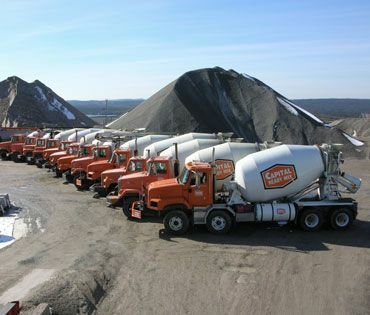 With a large fleet of ready mix trucks and concrete pump trucks, there is no job too big or small. Are you looking for stamped or colored concrete? You have come to the right place. Are you pouring a foundation for your new home construction project? We can help! 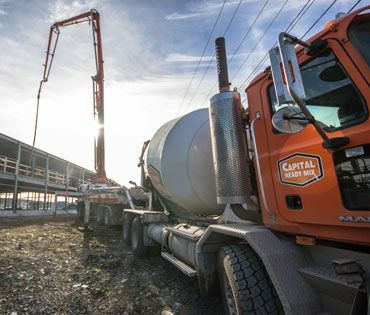 We have the expertise to produce heavy weight concrete and other unique concrete mixes including high strength concrete used for bridges, overpasses and wharves. With 6m³ and 8m³ capacity, our trucks are operated by experienced drivers who are experts in concrete mix design. We can ensure a quality installation for your next concrete project. Are You Looking to Construct a Footing or Foundation? Footings are an integral component of foundation construction. They are typically made with ready mix concrete that has been poured into an excavated trench and reinforced with rebar. Footings are crucial to the support of the foundation and ultimately the structure. Together, the footing and foundation help distribute all imposed loads on the bearing surface and keep the structure level, all while minimizing settlement. Footing and foundation construction are best left to a professional, who can assess soil conditions, follow engineered blueprints, and ensure a quality installation despite varying environmental factors (e.g. – temperature and moisture). Are You Looking for Coloured or Stamped Concrete? We have a wide selection of base colours to choose from. Are you are looking for something unique or a large project where consistency counts? We have one of the only automated dispensing systems in Newfoundland, the colour options are almost endless, plus you get the satisfaction of consistent colour load after load. Are You Looking for Stamped Concrete? 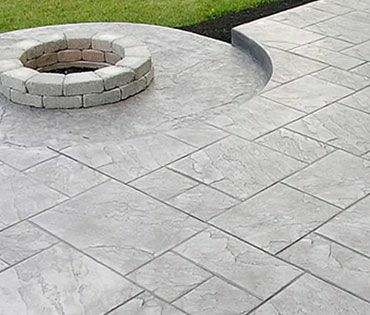 Stamped concrete is an ideal product for creating aesthetic walkways, driveways and back patio areas. Come see us to enquire about quality stamp concrete contractors, as the product requires expertise and experience for proper installation. Are You Looking to Pour a Garage Floor? 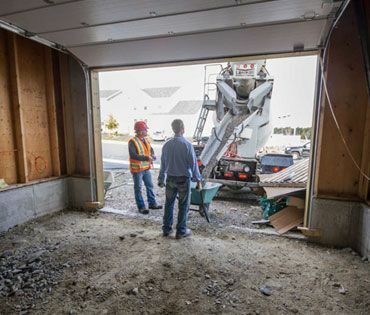 Our ready mix trucks can come right to your site and pour the concrete floor for your garage or shed. Tight for space or have limited access? Talk to one of our Sales team members and discuss the options for concrete pumping. 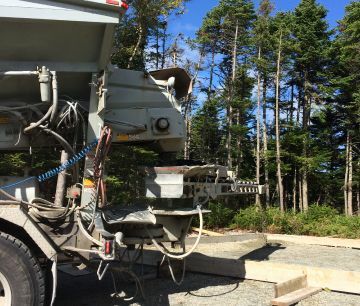 We have the largest fleet of concrete pump trucks in Newfoundland. 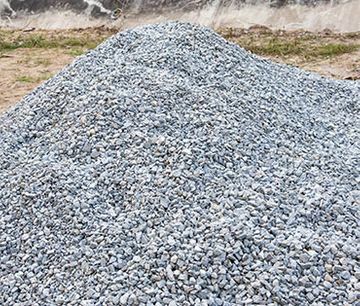 Are You Looking for Delivery of Crushed Stone or Road Gravel? Our stone slingers are the perfect choice for delivering the aggregates you need for your next project. Whether it is for foundations, drainage, driveway or landscaping these trucks are a perfect fit for any project. 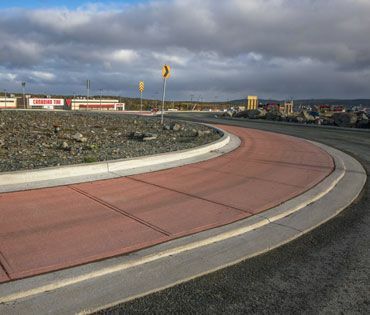 Does Your Project Require Sand Stone or Base Material? We have a large selection of aggregates to choose from, including, Road Gravel (A and B), Washed Stone (3/8”, ¾”, 1 ½”), Peastone, Sand, 4”minus and blasted rock. In Need of On-site Crushing Services? We have a mobile crushers that we can bring to your work site to crush rock into any desired size. 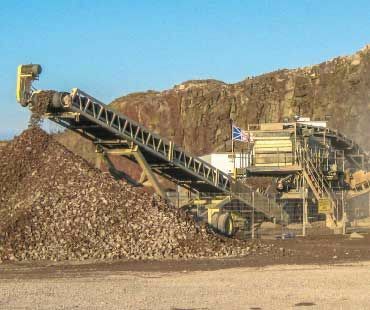 Our washing plant facility can clean and separate numerous sizes of sand and stone to meet all of the current regulations and standards. Our on-site testing laboratories are a critical component of our product quality control. We believe in continuously improving our service performance and product quality, all while exceeding industry standards. Our comprehensive suite of products and services, allow us to meet any client need, for any concrete project, beginning to end. 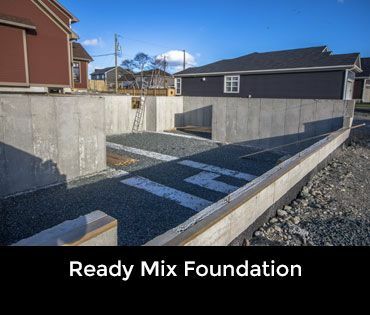 Contact us today to learn more about our ready mix concrete and concrete services in St. John’s and throughout the province.